Hi, I am Craig: I was born in Seattle and grew up in Spokane, Washington. I loved sports growing-up, especially tennis. I participated in lots of competitions and later became a tennis coach. 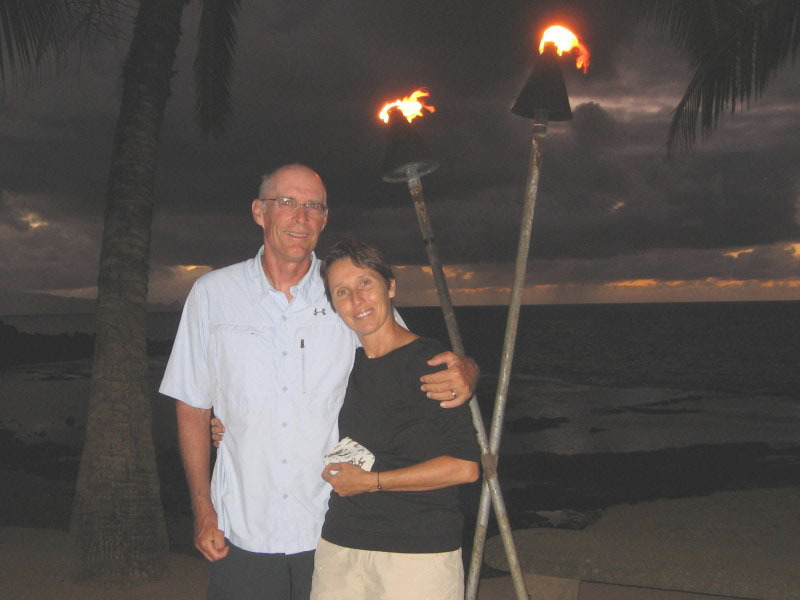 As a child my parents brought us to Maui several times and eventually I became a Tennis Coach both on Maui and Kauai prior to moving to Hong Kong for 12 years, after which I returned to Maui, met Valerie and have never left. I have been a dedicated tennis coach here on Maui for over 15 years. Bonjour, I am Valerie: I was born and grew up in Paris, France and became a sports photographer, working for a Windsurfing Magazine, Planche Mag, in the 80’s. As a Windsurfing Photographer I traveled around the world following the Windsurfing World Cup, but of all the places my work took me, I loved Maui the best and on Maui I finally settled in 1989. We are active in our church and in studying the Scripture. When we aren’t looking after our guests, we love to play tennis, hike, ski and travel (though not very often since we have a hard time leaving Maui), and Valerie loves Watercolor and Pastel painting and still takes lots of photographs. We hope you will come and join us in our little paradise.